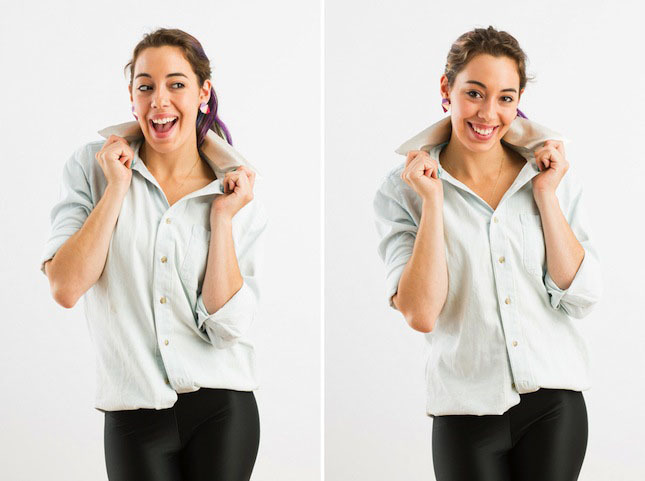 When it comes to collars, we can’t resist popping them up every once in a while. And when we do that, you better believe they’re going to be blinged out in the classiest way possible. 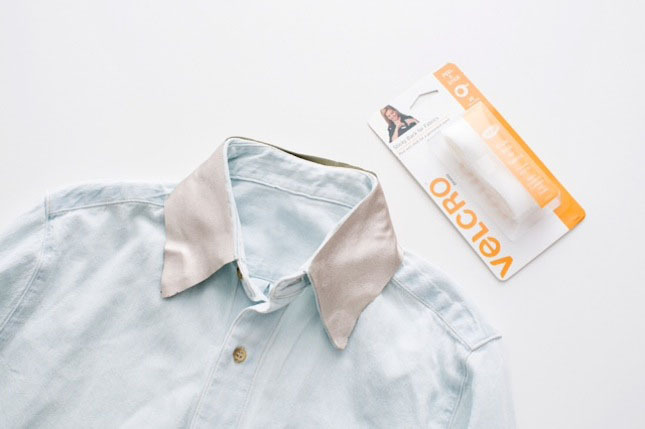 Introducing our latest 5-minute fashion hack: DIY interchangeable collars, powered by VELCRO® Brand No Sew Sticky Back for Fabrics! 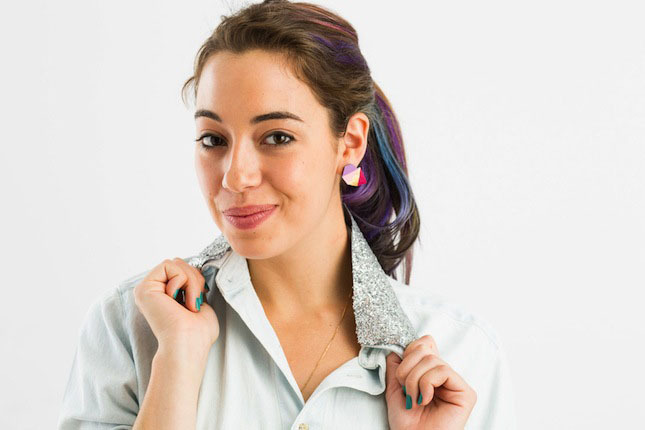 For one collar, we used gorgeous gold faux leather that didn’t need any embellishing at all! 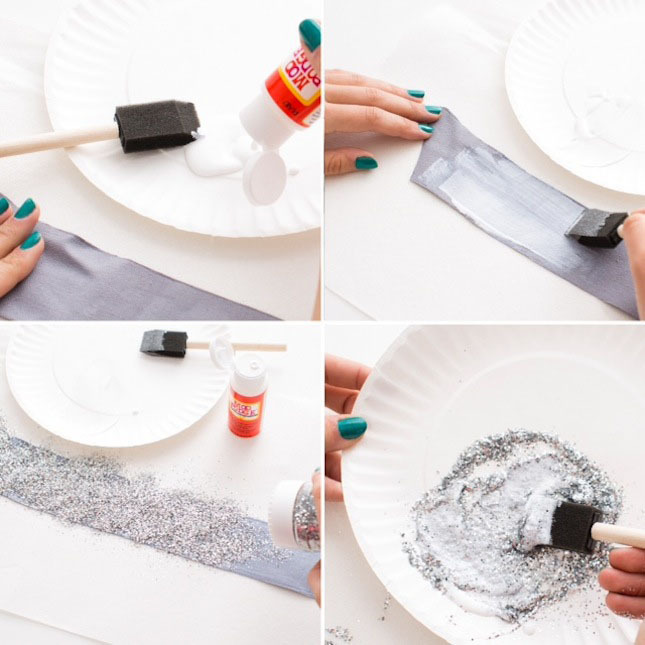 For the second one, we covered a piece of thick fabric with silver glitter. We’ll start with the leather. 1. Place the collar onto your leather (tag of shirt should be touching the backside of the fabric), trace and cut. 2. 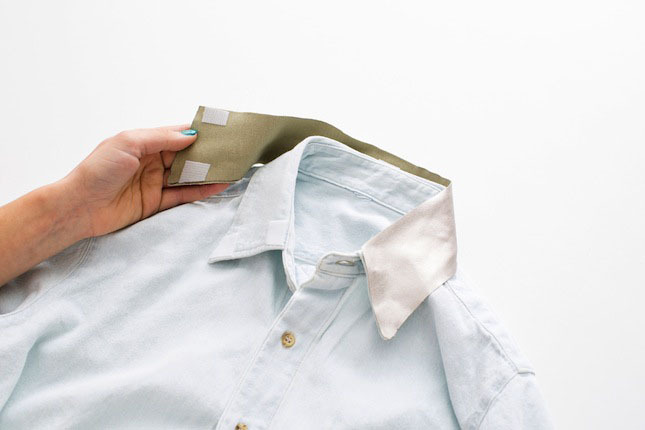 Cut VELCRO® Brand No Sew Sticky Back for Fabrics and attach to the collar of your shirt. So fancy, but we already know ? 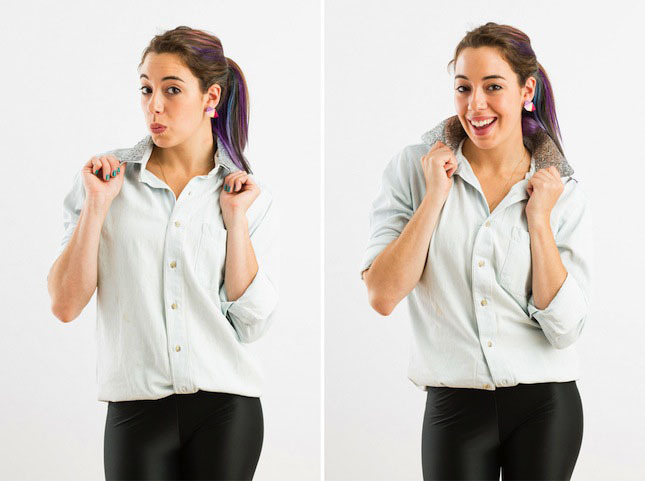 Not only is this great because you can create endless ways to style a shirt, but it also makes it very washing machine friendly! ? Now, onto the glitter…! 1. 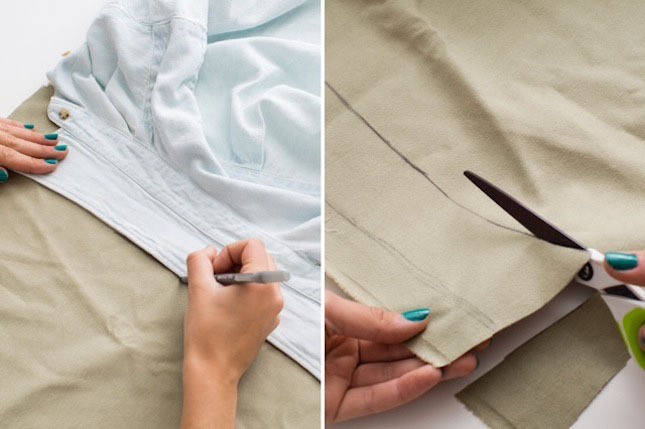 Trace your collar onto your piece of canvas and cut out. 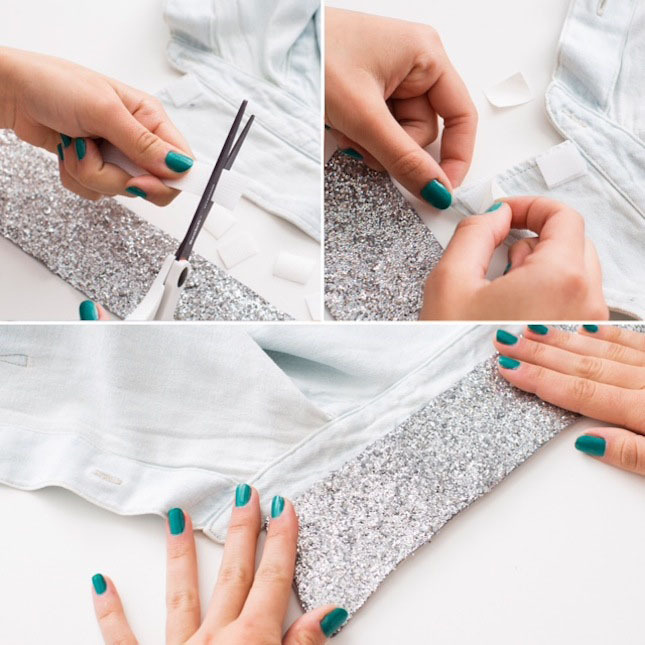 Apply a layer of Mod Podge and shake on some sparkles! Dust off the extra and mix with Mod Podge. 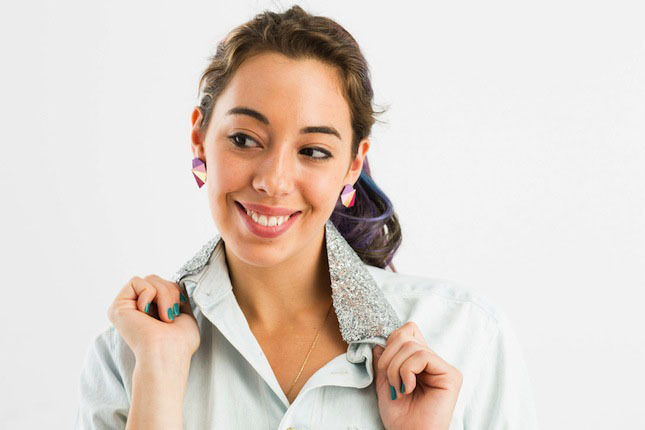 Spread the Mod Podge and glitter mixture onto your collar. 2. 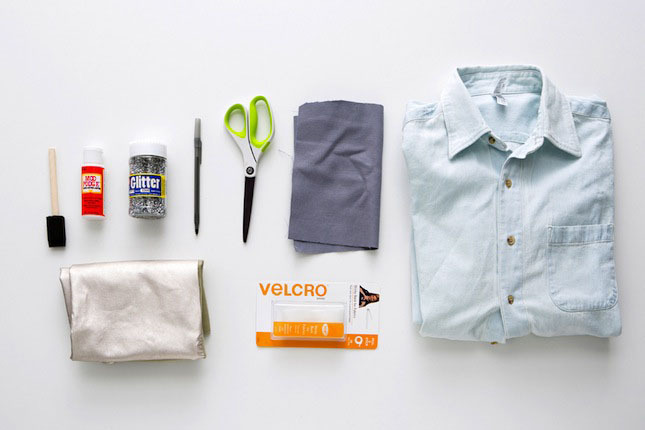 Once dry, attach VELCRO® Brand No Sew Sticky Back for Fabrics and get ready to rock out! From leather to sparkles. These tops are ready for a night of dancing. 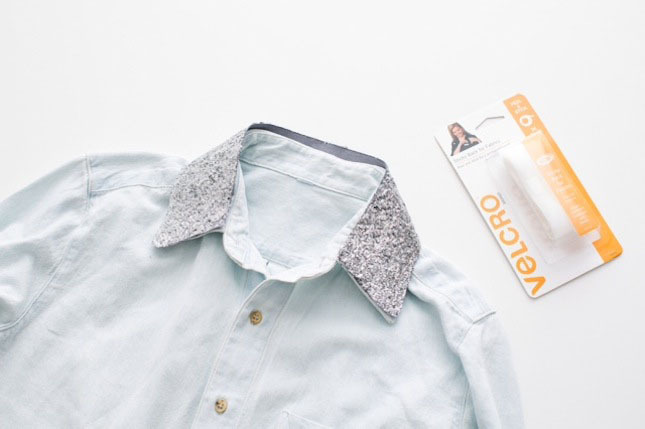 Plus, this VELCRO® Brand No Sew Sticky Back for Fabrics makes it super easy to change out your collars depending on what you need. 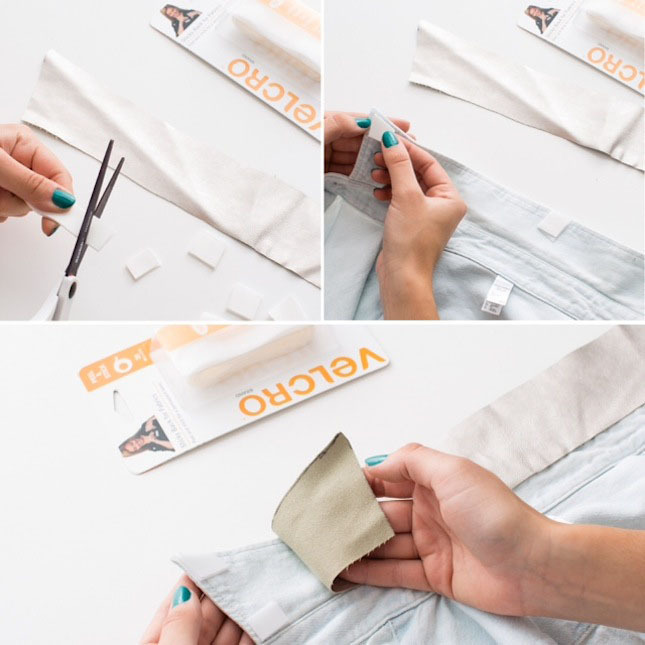 They’re great trick for gals who like to pack light… or who hate to wear the same outfit in one month ?